Dom Robinson has spent over 20 years focussed specifically on the complex challenges facing the exploding ‘Streaming Media’ market. A pioneer in the sector, he was responsible for the propositioning, architecture, technical design and implementation of many, now well established, online media publishing workflows. He has always had a strong focus on live / linear content delivery, which requires not only a deep understanding of the computational issues involved, but also of intricacies of network provisioning. He founded the first large-scale Content Delivery Network in Europe. This CDN was pioneering in its focus on driving IP Multicast adoption in the consumer markets, and between 2001 and 2009 it grew to carry over 150m streams each month for clients as diverse as Sky Sports, RT News and over 60% of the UK’s Internet Radio. He was responsible for putting the UK Parliament, Number 10 Downing Street, Glastonbury Festivals (for the BBC) and FatBoySlim online; in many cases breaking new ground while doing so, both technically and in terms of providing entirely new consumer propositions. He produced the world’s first 3D webcast (for Universal, broadcasting a Keane concert) and coauthored several Patents that now underpin many common media workflows. He also began using Satellite IP for Contribution and Distribution models in 1998, building a satellite-based CDN for Enfocast / Microsoft in 2001/2002 and consulting with Eutelsat and Astra on several of their deployments. Widely recognised as a sector visionary, he holds several International Awards for his work, and regularly Chairs or speaks at conferences ranging from Cloud TV, SDN/NFV, CDN, Distributed Compute, OTTTV and IPTV. 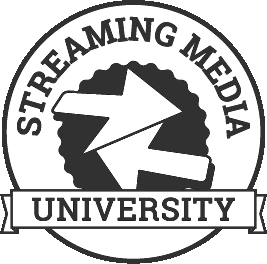 He has been a Contributing Editor of StreamingMedia.com (and its print magazine) for 15 years, and has been published by Wiley Academic Press.